The Fist of the Fleet Association is a non-profit group of present and former members of the above Navy squadron brought together by a common bond of military service and mutual interest in preserving the history and traditions of this squadron. 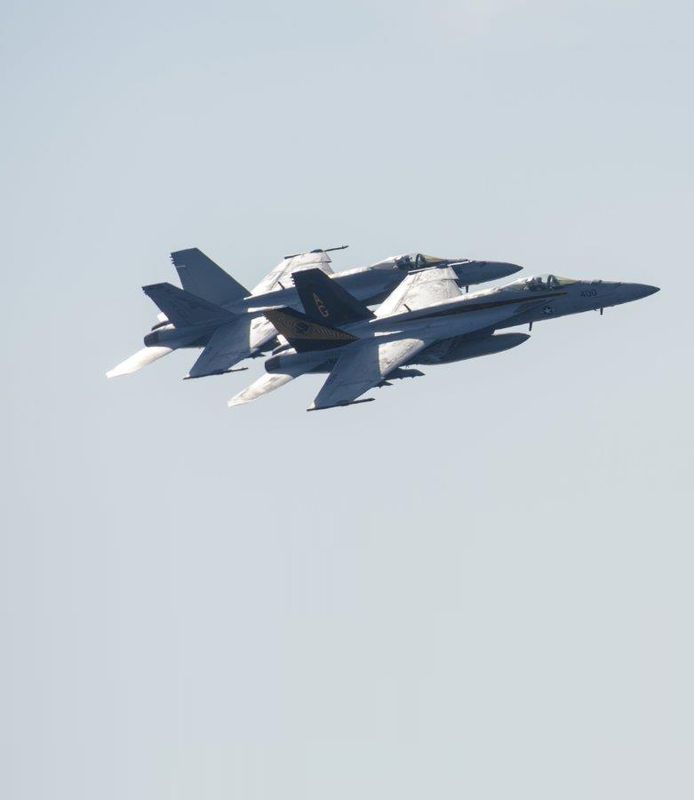 The squadron known today as FIST OF THE FLEET is currently designated VFA-25. This squadron was originally established as Torpedo Squadron 17 (VT-17) on 1 January 1943, and made two WW-II carrier deployments flying the TBF/TBM Avenger. On 15 November 1946, VT-17 became VA-6B, flying SB2C Helldivers and later AD-1 Skyraiders while based on the East Coast. The squadron then became VA-65 on 27 April 1948, a component of Air Group Six. In August 1950, the squadron moved to the West Coast and joined Air Group Two, making three carrier deployments during the Korean War. VA-65 became VA-25 on 1 July 1959 in a number swap with an East Coast squadron in Air Group Six. The squadron made another three carrier deployments in Vietnam before retiring its faithful Spads in April 1968. The squadron then transitioned to the A-7 Corsair II and made three more carrier deployments to Vietnam. The squadron became VFA-25 on 1 July 1983 flying F/A-18 Hornets. This phase of the squadron’s history is still in progress. The history and lineage of the present VFA-25 may be traced to 1 January 1943 because there was no break in active duty status of the squadron even though its designation changed four times.